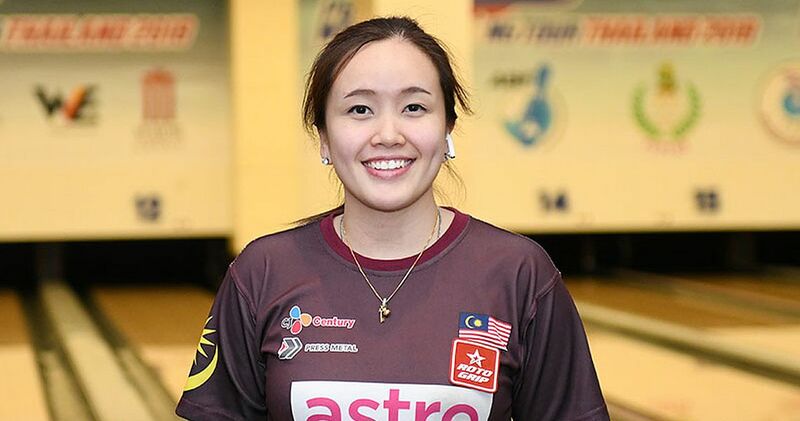 Sin Li Jane of Malaysia finished five days of qualifying, featuring 46 three-game squads, atop the leader board to win the qualifying of the Professional Bowlers Association/World Bowling Tour Thailand event at Blu-O Rhythm & Bowl Paragon in Bangkok, Thailand, Tuesday. 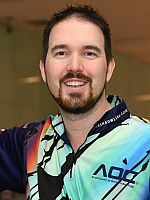 Sin (featured photo), who owns two European Bowling Tour titles and one Professional Women’s Bowling Association title, had high series of 820, 745 and 703, including eight pins handicap each game, to lead the 131-player field from 23 countries with 2268 pinfall total and an average of 244.00 scratch over nine games. The leaderboard got a whole new look during Wednesday’s squads 38 to 46 as six players moved into the top 7, which consisted of four PBA champions and three PWBA Tour title winners. 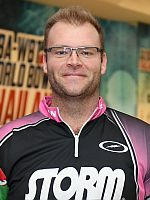 Anthony Simonsen (left), a four-time PBA titlist, was mere three pins behind Sin in second place with 2265, including a high series of 801. 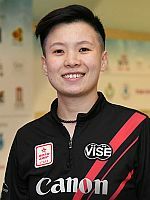 2016 PWBA Rookie of the Year and one-time winner New Hui Fen (right) of Singapore was the second-best of 21 women in the field in third place with 2256, including handicap. 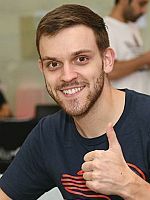 Francois Lavoie (left) of Canada, whose three PBA titles include a victory in the 2016 U.S. Open, also cracked the 2250-bar (250 average) in fourth place with 2251, including the tournament’s fourth 300 game. Danielle McEwan (right), USA, was the third woman in the top 7 in fifth place. 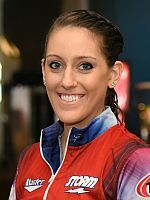 The four-time PWBA titlist who has won one title in each of the past four years, totaled 2225 pins, including handicap. 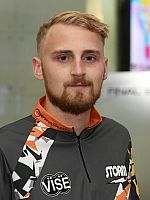 Last year’s runner-up Jesper Svensson (left) of Sweden, a two-handed lefty who at age of 23 owns seven PBA titles along with eight European Bowling Tour titles, was just one pin back in sixth place with 2224. Rounding out the top 7 was 2011-12 PBA Player of the Year and 12-time champion Sean Rash (right), USA, with 2218 and an average of 246.44. Those seven plus the top local player, 14th place Surasak Manuwong (2194), who was seeded eighth, will bypass the second and third round on Thursday (qualifying counts as first round). Napat Buspanikonkul (left) was the second-best Thai with 2165 and therefore was seeded 9th to lead a group of 16 players, including another two women, who receive one bye for the finals. Four-time PBA champion Marshall Kent (right), USA, took the 24th and last spot to earn one bye with 2179 and an average of 240.11. 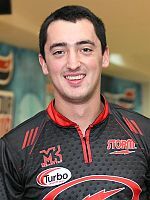 Francois Louw of South Africa defeated Hardy Rachmadian of Indonesia in a one-ball roll-off after a 2150-2150 tie to take the 37th place and last place to advance from the overall leader board. Positions 25 to 37 will be joined in the second round Thursday at 1 p.m. Indochina Time (ICT) by the next two Thais, Atchariya Cheng (38th, 2127) and Kim Bolleby (39th, 2113), and the top 3 of the one-game Desperado Squad. Earning the last three spots were Choi Won Young of Korea (278), Alhassan Sugati of Saudi Arabia (274), and Matt Sanders, USA (267). The PBA/World Bowling Tour Thailand 2018 tournament, a World Bowling Tour Tier 2 event, will be held September 22-28 at Blu-O Rhythm & Bowl inside the Siam Paragon Shopping Mall in Bangkok, Thailand. The tournament offers total prize fund of 4.215 million Baht or approximately 136,000 U.S. Dollar. The winner will walk away with 1 million Baht ($32,258) and will be awarded a World Bowling Tour title and a Professional Bowlers Association title, if won by a PBA member (women only if they don’t accept handicap pins). 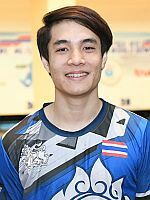 In the 2017 WBT Thailand finale, Yannaphon Larp-apharat doubled in the 10th frame to defeat two-handed lefty and 2016 WBT Thailand winner, Jesper Svensson of Sweden, 212-202, to become the first bowler from Thailand to win a PBA title. All players must bowl nine games of qualifying in three-game blocks with unlimited re-entries. Women receive 8 pins handicap each game. All ties will be broken by a one-ball roll-off. 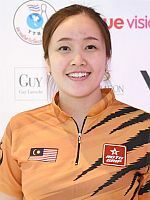 Total 42 bowlers survive the qualifying portion (Round 1), including the top 7 qualifiers, the two highest Thai bowlers outside the top 7 (ranked 8 & 9), the next 28 qualifiers (ranked 10-37), the next two Thai bowlers outside the top 37 (ranked 38-39) plus the top 3 of the one-game Desperado Squad (ranked 40-42). Players ranked 1-8 receive two byes and players ranked 9-24 get one bye. Bowlers ranked 25-42 advance to the second round to bowl six games from scratch with the top 10 advancing to Round 3. Qualifiers 6, 7 and 8 meet in the opening stepladder match. The winner takes on no. 4 and 5 in the second match. The winner bowls no. 3 with the winner advancing to the semi-final match against no. 2. The winner of that match meets the top-seed in the championship match and must defeat him or her twice to win the title and the first-place check. The World Bowling Tour 2018 has recently added another PBA Tour event to its schedule, which now features 13 stops, one each in Germany, South Korea, Sweden, Thailand and Hong Kong and eight stops on U.S. soil. The PBA-WBT Thailand is the 10th stop of the WBT 2018 and one of the tier 2 events this season. WBT tier 2 events award bowlers with four times the number of base WBT Rankings points (tier 1 six times and tier 3 two times). The World Bowling Tour is sanctioned by World Bowling, the governing body for the sport of bowling. The tour is the premier international bowling series that is hosted in numerous, unique cities around the globe. Due to an agreement between World Bowling and the Professional Bowlers Association (PBA), World Bowling Tour tournaments will award a PBA Tour title if the winner is a PBA member (who doesn’t accept handicap pins). However, when an event is U.S. based and not a PBA event, no PBA title can be granted. Men and women compete for points to earn places on the World Bowling Tour rankings. The points system is based on a continuous two-year cycle, where points include every event from the previous two year format. 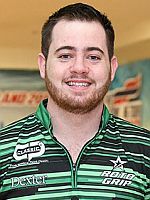 The top three men and top three women in the annual points list will compete in the season-ending World Bowling Tour Finals, presented by PBA, which will be held at the International Training and Research Center in Arlington, Texas, Sunday, January 6, 2019. World Bowling provides governance to international bowling and is made up of 134 bowling international federations. For more information on the World Bowling Tour, click here. The 11th stop of the 2018 World Bowling Tour season is the FloBowling PBA Fall Swing Tulsa Open, a tier 2 event, which will be held at The Lanes at Coffee Creek in Owasso, Okla., USA, October 14-20. Photos courtesy of Asian Bowling Federation (ABF). Pos Player Country Block 1 Block 2 Block 3 Pins Avg. 300 games (4) – Kunakorn Ponganekkul, Timmy Tan, Marshall Kent, Francois Lavoie.